How old are your present pair of running shoes? It is difficult to say when you need to change your running shoes as it depends on you and your lifestyle. By this I mean your bodyweight, how much running you do, how do you land on your feet, where you run, etc. A good tip is to buy two of the same pair of running shoes, and use one pair once a week and the other one for the rest of your runs during the week. When the shoes that you use more often no longer feel like the pair that you wear once per week, it is time to discard them and use the other pair for the other runs. It is also time to buy a new pair of shoes to replace the one you discarded. Do not buy a pair because your friend swears by it. Shoes fit differently on each of us, we are all unique. Even identical twins have different finger prints! Any questions on what shoes you should be wearing for 'pronation', 'supination' or 'neutral' ask Suzie she can help you. DO NOT purchase running shoes because they look great with the jeans that you wore to the store. Running shoes are a tool to help you perform the best you can, not a fashion statement. Running shoes are made for running, not walking. They are indeed comfortable, but the foam will break down quicker, and they are expensive. The foam is there to help the mechanics of your feet if you need it. Purchase running shoes from a speciality store, that deals with running/triathlon/endurance sports. Do not go to those big department stores that sell everything else. 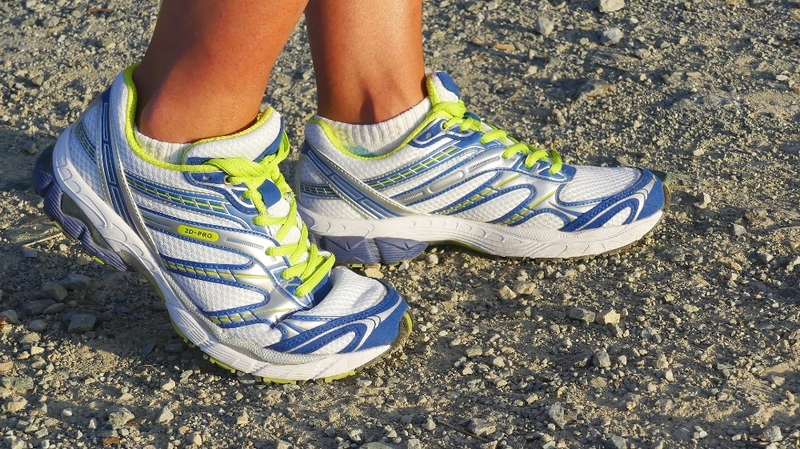 It is likely that staff have no clue or knowledge about running shoes. Short Run or Hills – Track/Treadmill: do intervals anywhere from 200 metres to 1 km for these short and hard intervals; RPE 8-10, 4-10 intervals, 15 – 20% of weekly total kms. Tempo: do 1.5 – 5k long intervals. Road/Track/Treadmill: 2-3 intervals; RPE 6-8; about 30-35% of weekly kms. Long Run – Road, Trails: if it is slippery out and you really have to then maybe, just maybe the treadmill for 5 – 20+ km, depending on your goals and where you are in your program; RPE 5-7; about 45 – 55% of weekly total kms. Do a test event, or look at your times of the previous year to set your goals for your training plan. Aim to match or improve some in time for your first event of the season. As this is a training plan for the running leg of the triathlon and depending on your schedule, try to ride before a run as warm-up for 15 -30 minutes. Go meet friends for the long run, get on the bike and ride to the start. Also, make an arrangement with your significant other to have breakfast with you near the start/finish, so you can get a pre-arranged drive home.